Spring is coming! I know we are in the middle of winter, but I have my mind ahead to warmer days. There’s still a way to shop for next season while looking February appropriate. The wrap dress fit my body in all the right places while still providing movement and flow. I paired both looks with my grey Frey knee high boots. Thought you could also dress up this number with a pair of black or red heels. Have a baby shower? This dress works! Want to go out with your girlfriends for a fun night on the town? You have your choice as well!! Definitely sticking to a lighter palette with option number two! First, I showed the shirt dress with a bright green blazer. Love it!! Green and purple always work well together. Shirt dresses work with well with every body type. Ready for the best part? Each outfit ran me less than $80! That’s including the look with the blazer!! The wrap dress retails for $59 and both the shirt dress and blazer are online for $39.99 a piece. Totally budget friendly. Check out Chadwicks of Boston for more styling options. And if you want to see how Audrey McClelland styled her look, click here. Looking for more ideas on how to style these pieces? 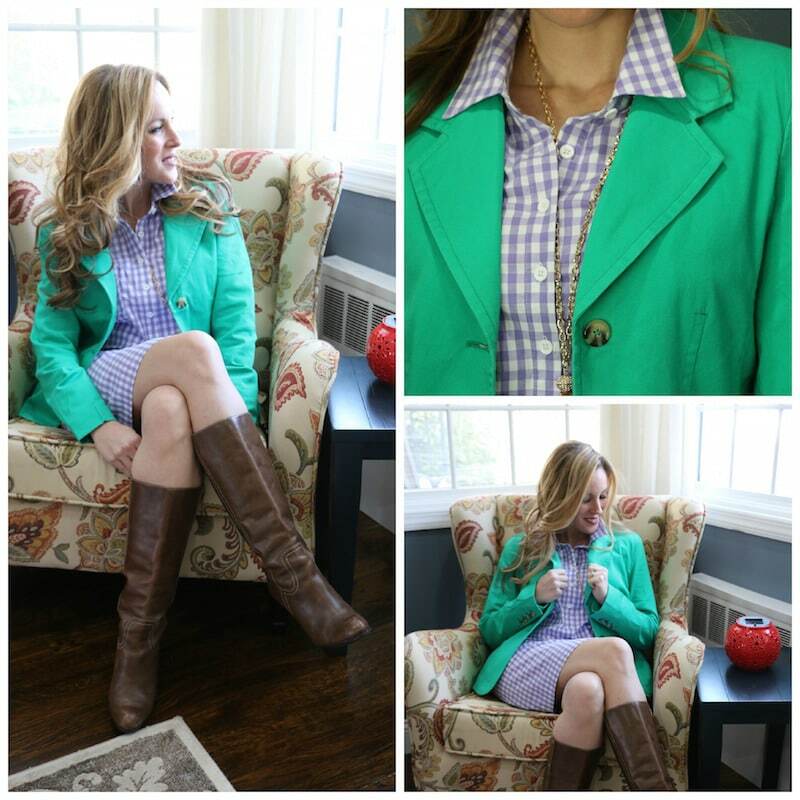 Check out Audrey McClelland’s blog for three fab looks!.